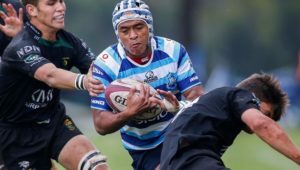 Wynberg claimed bragging rights among Cape Town’s southern suburbs schools after beating SACS 30-17 on Saturday, while Bishops were held to a 10-10 draw by Rondebosch. THEO GARRUN reports. Going into the SACS vs Wynberg derby, Wynberg and Bishops had each won four out of five in the unofficial series. Bishops beat Wynberg, at Bishops, 33-29 back in May, while Wynberg beat Bishops 22-20 in the return fixture on their home field a week ago. So wins for both of them on Saturday would have seen the bragging rights shared. But Bishops were held to a draw by their neighbours, Rondebosch, in a mighty struggle in appalling conditions and that means, if log points had been kept, Wynberg would have finished on the top of the table. 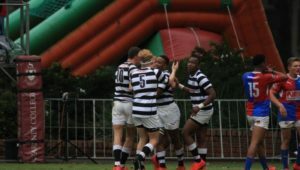 The conditions at SACS were no better, and the fact that Wynberg were able to score four tries under the circumstances showed that they were able to adapt to them better and they were full value for their win. They played with the strong wind at their backs in the first half and when they changed ends only 13-7 ahead it looked like they hadn’t done enough. They came out storming after the break and when they got the first try, through prop Luthando Woji, with just five minutes gone, the writing was on the wall. 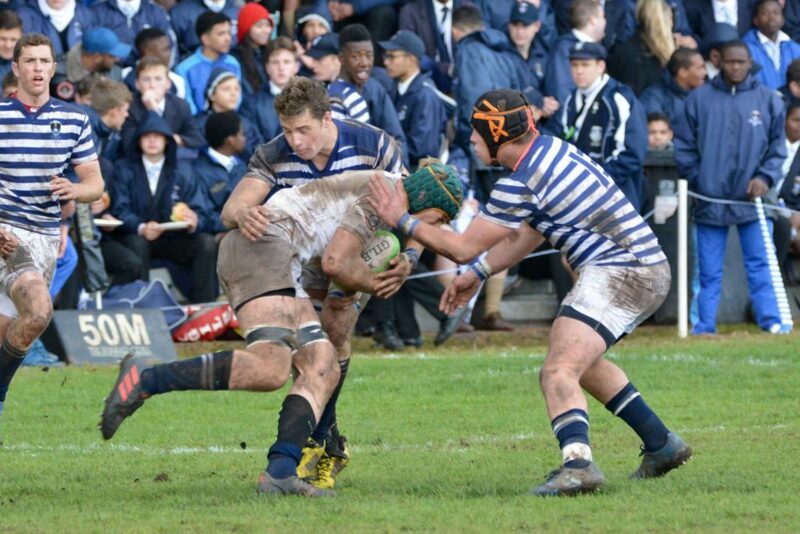 SACS pulled one back through their impressive winger Kabelo Mokoena, closing the gap to 20-12. Wynberg kept the ball in hand from then on and got two more tries, by Patrick Chivanga and Wandile Notshe, to make the game, and the southern suburbs crown, safe. Eigthman Inga Halu scored a storming try, from 45m out, for SACS in the first half, and Devon Pretorius had a good day with the boot in difficult conditions. 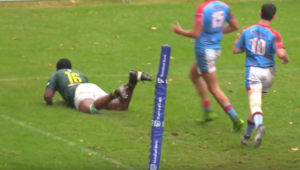 Wynberg – Tries: Inga Halu, Luthando Woji, Patrick Chavinga, Wandle Notshe. Conversions: Devon Pretorius (2). Penalties: Pretorius (2). 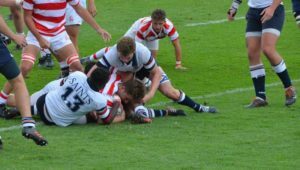 SACS – Tries: Dean Reich, Kabelo Mokoena, Ethan Burger. Conversion: Mokoena. Lost to Wynberg 31-9 and 24-22.